For each friend who signs up and upgrades to a paid plan, you'll get 30 extra days to your current subscription. Upon signing up, your friend will also receive a 30% discount on all plans. It's a win-win! Go to the Bonuses section of your uKit Dashboard. 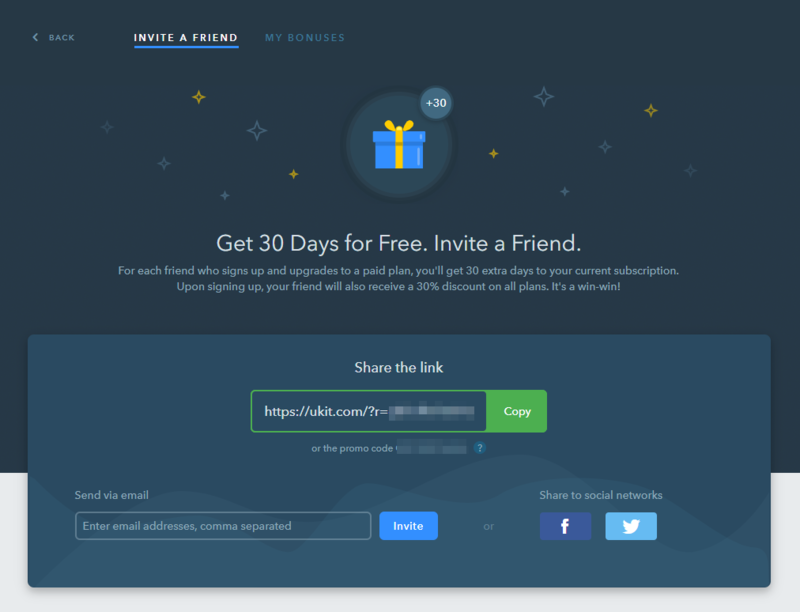 Share your unique invite link with friends — send it via email or post to social media. Your friend needs to sign up following your link and purchase a paid plan. They'll get a 30% discount on any package. Friends who already have a uKit account need to use your promo code at checkout. As soon as your friend upgrades, you will receive 30 days for free. 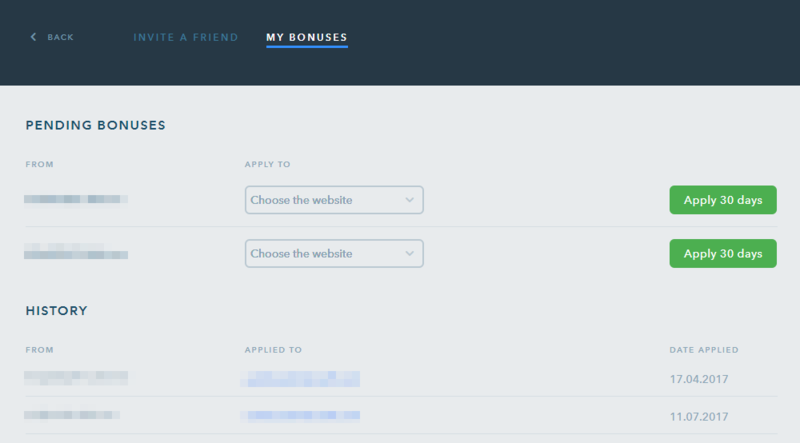 You can choose the website you'd like to apply the bonus to and track your bonus history under the My bonuses tab. Apart from this, we regularly run promotions and offer additional discounts. Follow the news on our official blog to stay tuned for special offers.